I've decided to sell some of my steamers as I think for N I will be focusing on Western Maryland during the diesel period, and frankly, because I wouldn't mind using the money on HO projects! 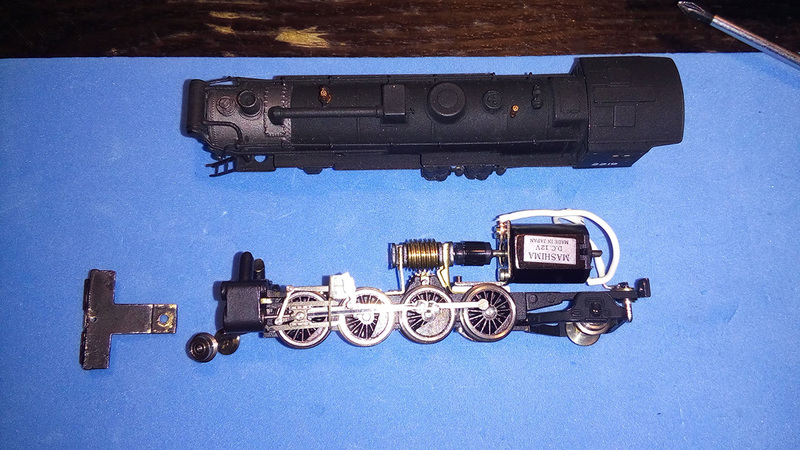 Here are three locomotives; two brass, one plastic, and all good runners! 1st pic, top: Key/Samhongsa Brass NYC H10A 2-8-2 Mikado. Has original box, can motor installed, painted by myself. Condition 7/10 (One of the front steps from pilot to boiler walkway is loose, the Fireman's side, and I have modified the pilot to accept a coupler, with some wear o the paint on the pilot as well) Noise 8/10; the Mashima can motor runs nice and is quite quiet! 350$ shipped and insured. 1st pic, bottom: Key/Yulim Brass NYC H6 2-8-2 Mikado. No original box, sadly, but simply gorgeous factory paint, would grade condition 9/10, but grinderish; sound 5/10. Open frame motor. 350$ US shipped and insured. If you want a can motor, I can install one for you for an extra negotiable fee. Or, buy both brass engines for 650$ USD. Spookshow gives both NYC mikes a grade of B. 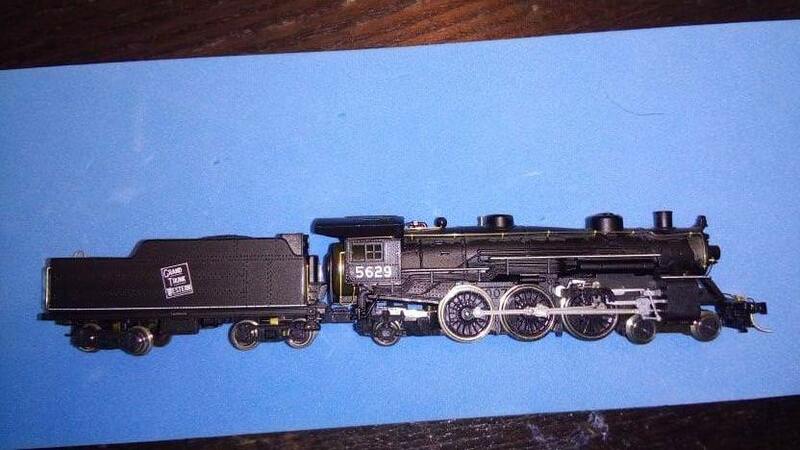 2nd pic: Very well done kitbash of a superdetailed older Atlas pacific shell to a Kato C55 pacific chassis! I planned to use it as a K11 or K3, but any road with a lightish USRA pacific could run it; currently decorated for GTW. The shell has had loads of details added with brass wire, and it runs wonderfully. All wheels live on tender, and comes in Kato box with foam and bubble wrap layer! 165$ shipped and insured. Note that I did NOT build this, so kudos to whoever did! If you'd like to make offers, I am all ears, but be reasonable please! Still available all. Both brass locos now 300 each, or 550/pr! Still available all. Help me get set up right in 2mm Finescale!